Avail from us high quality Silver Impregnated Activated Carbon, which is basically used for water treatment. 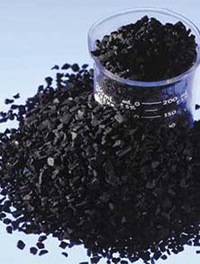 Its large internal surface area allows Silver Impregnated Activated Carbon to perform better. It combines the special advantages of two technologies in one product-Silver and Activated Carbon. These two materials together make ideal bacteriostatic water filter media bed.